I am always looking for inexpensive things for my son to play with. 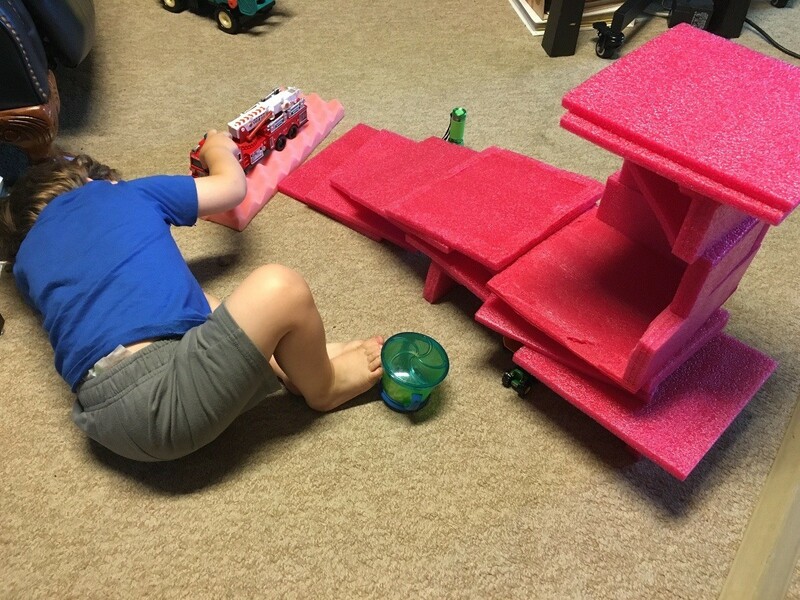 My stepdad has a bunch of pieces of packing foam at his house and my son loves to play with it. It is fairly rigid foam and works really well for building. 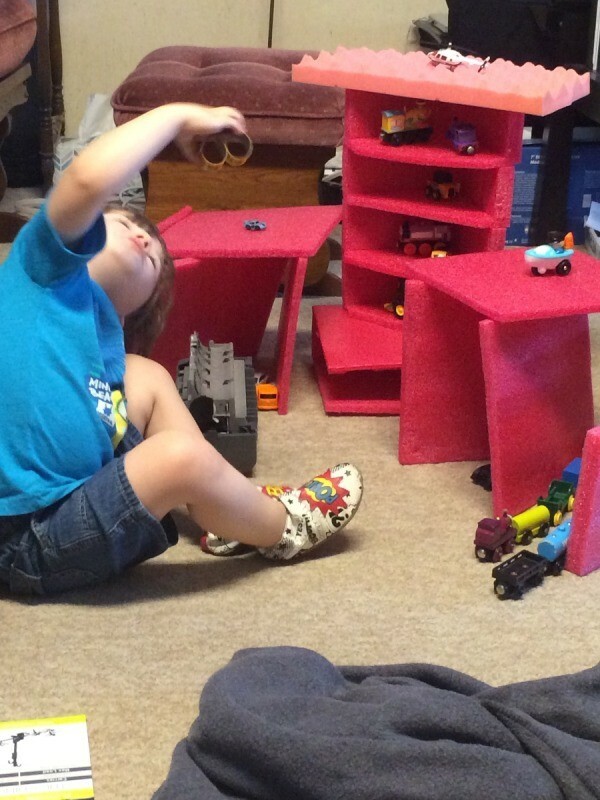 This is the fire station and parking garage that we built for his cars. It provides hours of fun and has endless building options.